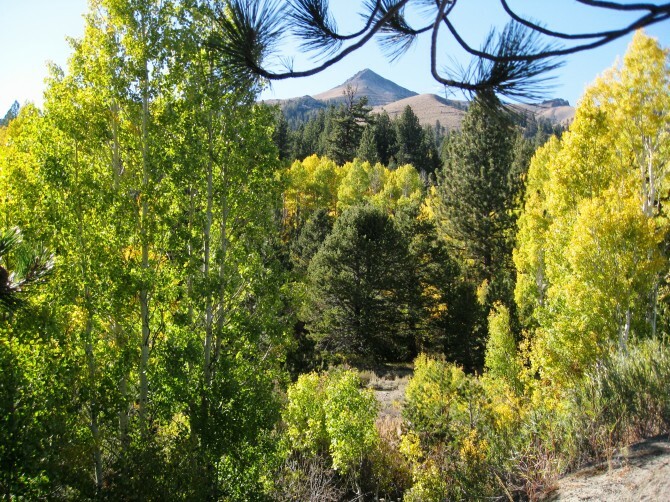 Hope Valley is one of the best places in the Sierra Nevada to see fall colors. 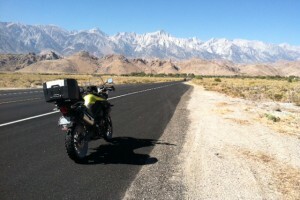 It also offers some fantastic motorcycling. The two make a great pair. California State Route 88 runs through Hope Valley from Carson Pass (8,574 feet; 2,613 meters) 15 miles east to Woodfords (5,617 feet; 1,712 meters). 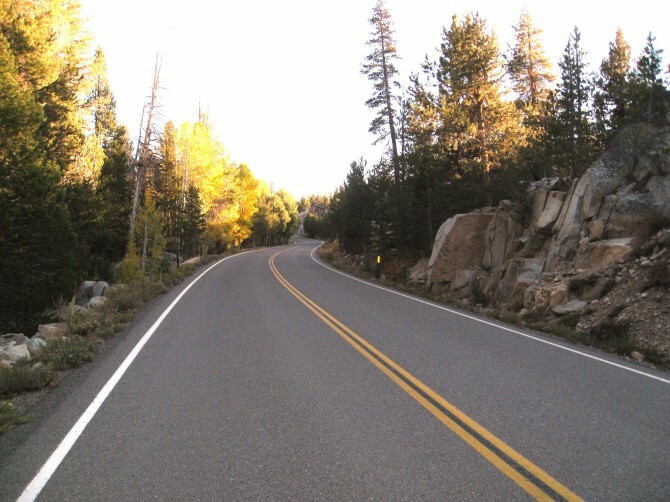 The highway then enters Carson Valley where it ends 14 miles later at the junction with US 395, in Minden, Nevada (4,724 feet; 1,440 meters). The nearly 4,000 feet of elevation change in less than 30 miles is very dramatic. 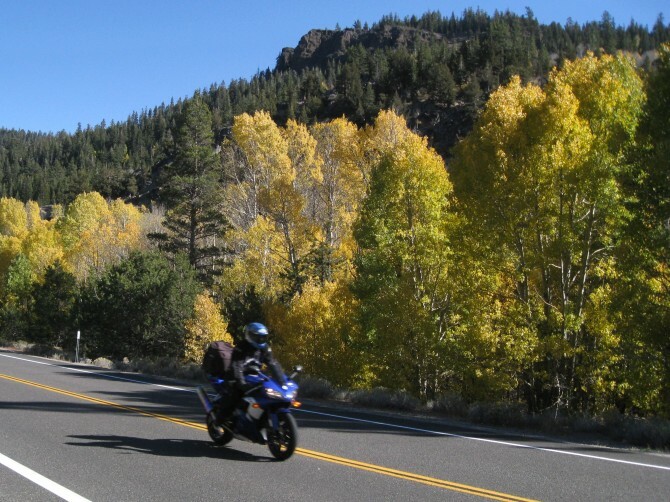 It offers a spectacular 30-minute motorcycle ride. 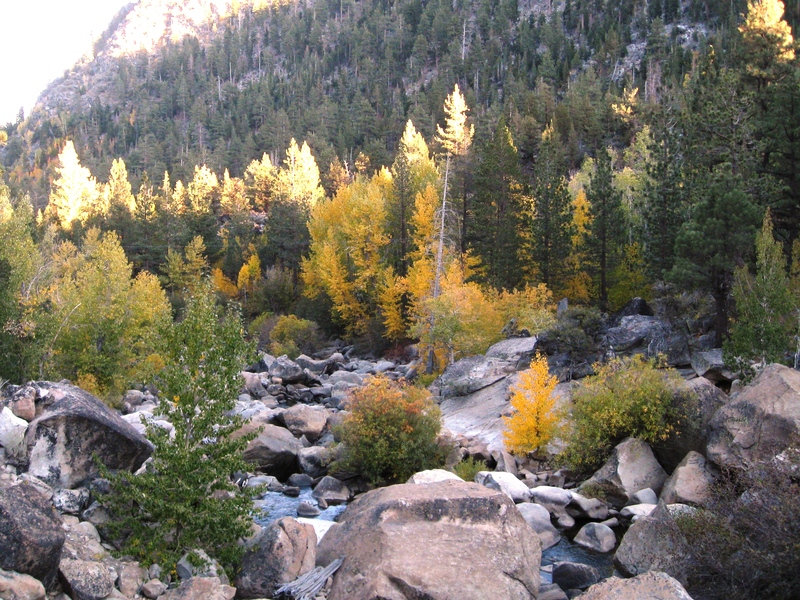 Much of the route is within sight of the West Fork of the Carson River. There are some great places to camp in Hope Valley as well. The Humboldt-Toiyabe National Forest has some developed campgrounds along Blue Lakes Road. 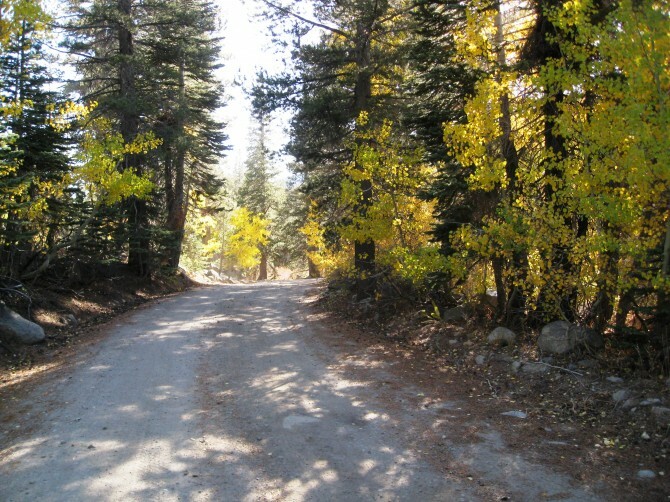 At the end of the paved road, Pacific Gas and Electric Company operates some developed campgrounds at Upper and Lower Blue Lakes. Primitive camping is allowed in undeveloped areas in much of the surrounding national forest. Check our camping page to help find the perfect camping spot for you. The Blue Lakes area can also be reached from Highway 88 at Red Lake, just below Carson Pass, via Forestdale Divide Road. The approach from Red Lake is fairly gentle and manageable on just about any adventure motorcycle. Further on, the going gets more technical with steep drop-offs and loose surfaces. The final drop down to Upper Blue Lake has some steep downhills with lots of large loose rocks. Big bikes may have difficulties. The road is blocked by snow in the winter and is a popular snowmobile route. Not interested in dirt trails and camping? No worries. Hope Valley fall colors are easy to see from the pavement. And there’s lots of other great fall scenery in the Sierra, too. Check our fall colors guide for details and some great offers from our local Carson Valley hotels. And see our guide to Sierra winter road closures to learn more about winter routes in the area. You can also sign up for our email newsletter to stay on top of the seasonal riding conditions in the Sierra and the high desert.